Market Pulse section compiled by Suzann Silverman. 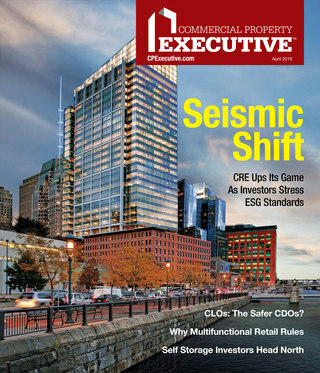 To comment, email ssilverman@cpexecutive.com. According to the Census Bureau and the U.S. Department of Housing and Urban Development, multifamily housing starts—both two to four unit buildings and buildings with five or more units combined—recorded a steep decline in September. Over the month, multifamily starts fell by 38 percent from a seasonally adjusted annual rate of 426,000 to 264,000, starts of buildings with two to four units dropped from 17,000 to 14,000, but starts of five or more unit buildings declined by 38.9 percent from 409,000 to 250,000. Over the past 12 months, multifamily starts fell by 40.8 percent as starts of buildings with five or more units fell to 42.5 percent below their level 12 months ago. Month-over-month, declines were recorded in the Northeast (-69%), the Midwest (-53%) and the South (-42%). 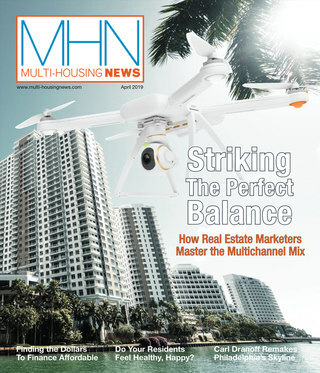 However, a monthly increase in multifamily starts took place in the West by 4 percent. Over the past year, declines were registered by the Northeast (-62%), the South (-52%) and the West (-20%). Meanwhile, multifamily starts in the Midwest rose by 12 percent in the past 12 months. Over the month of September 2016, headline consumer price growth (CPI) rose by 0.3 percent. Energy prices, which were unchanged in August, rose by 2.9 percent in September as the gasoline component recorded 5.8 percent growth over the month. However, food prices have been unchanged for the past 3 months. Excluding the historically more volatile prices of energy and food, “core-CPI” rose by 0.1 percent, slower than the 0.3 percent rate recorded in August. The decline reflected a slowdown in the prices of apparel and in vehicles, both new and used. However, shelter prices, which account for the largest portion of consumer expenditures, rose by 0.4 percent in September, 0.1 percentage point faster than its 0.3 percent growth rate in August. Rental prices, a component of overall shelter prices, rose by 0.3 percent over the month. Since the increase in rental prices exceeded the monthly rise in overall inflation, as measured by core-CPI, then NAHB’s Real Rent Index increased by 0.2 percent on a monthly basis. Over the past twelve months, the Real Rent Index has risen by 1.4 percent. Sales of existing condos and cooperatives (co-ops), measured on a seasonally adjusted annual rate, fell over the month of September, but year-over-year growth was unchanged. In September, sales of existing condominiums and co-ops declined by 3.2 percent. The decrease in sales nationwide reflected a 10.7 percent drop in the South. Meanwhile, sales in the West rose by 6.7 percent and sales were unchanged in the Northeast and the Midwest. While sales fell nationwide in August, the inventory of existing condos and co-ops rose by 3.9 percent over the month. There are 242,000 condos and co-ops in inventory. Since the pace of sales growth, which was negative, exceeded the rate of inventory growth, which was positive, then the months’ supply, which represents the number of months it would take to exhaust the existing condo and co-op inventory at the current sales pace, climbed by 9.1 percent over the month to 4.8 months. Median existing condo and co-op sales prices rose by 6.1 percent on a not seasonally adjusted basis over the past year to $222,100. The price of inputs to construction rose by 0.8 percent on a not seasonally adjusted basis over the 12 months ending in September 2016. This component of the Producer Price Index is composed of the price of inputs to new construction and the price of maintenance and repairs. Over the past year, the price of inputs to new construction increased by 0.8 percent. The price of inputs to new non-residential construction ticked up 0.2 percent while the price of inputs to new residential construction rose by 1.3 percent. Meanwhile, the price of maintenance and repairs construction grew by 0.3 percent over the past year. The price of inputs to non-residential maintenance and repairs rose by 0.2 percent while the price of inputs to residential maintenance and repairs increased by 0.7 percent. Twelve-month changes in the prices of individual building materials varied. The prices grew of oriented strand board (32.5%), cement (5.4%), and gypsum prices (3.3%). However, the price of softwood plywood declined by 1.5 percent.